This is a new addition to the Hootananny corner near the large Sainsbury’s on Tulse Hill. The small restaurant has an open kitchen, high chairs and tables at the front and then a few places in the back. The walls are lined with lathes which we thought would deaden the sound but they didn’t. We arrived early and had a quiet meal but some of the louder clients came in while we were eating dessert and made talking difficult. 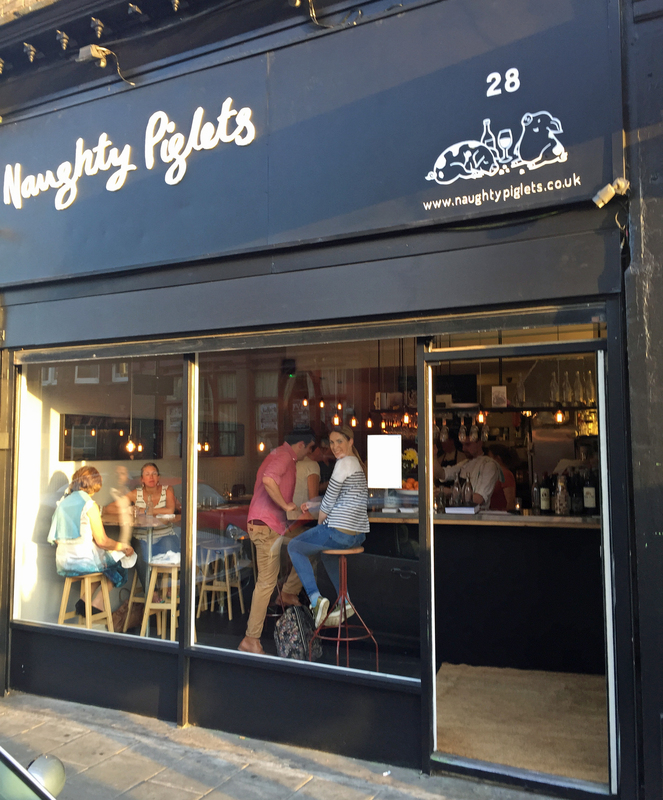 This is an up-market addition to the Brixton restaurant scene that has already been reviewed by Fay Maschler and as we ate the Evening Standard were taking pictures. It is more expensive but still in its early days. A short menu with guesses about which are the starters (the cheaper dishes), a long wine list which included “orange” wines and all have the name and the grape. However, there isn’t much for vegetarians. For the pair of us it was a game of two halves – I chose badly. My partner chose dashi with clams, pork belly and lemon posset which were all delicious. The clams were soft and the dashi was subtle with the Japanese spices creeping up slowly. 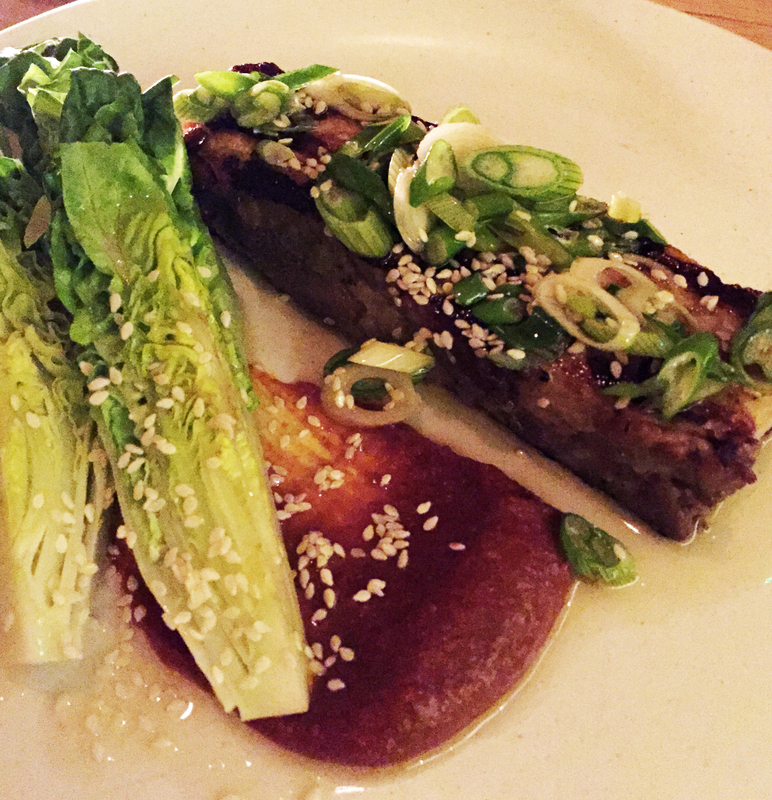 The pork was soft and the Korean spices hot with a dressed little gem lettuce providing a bit of a crunch. The lemon posset was nearly on the butter side of creamy but probably as it was very cold and the pepper in the tuile crept up slowly. My choices were not so good. White asparagus with an egg yolk and parmesan was good but I only had one large spear and two would have been better (especially at £8.00). 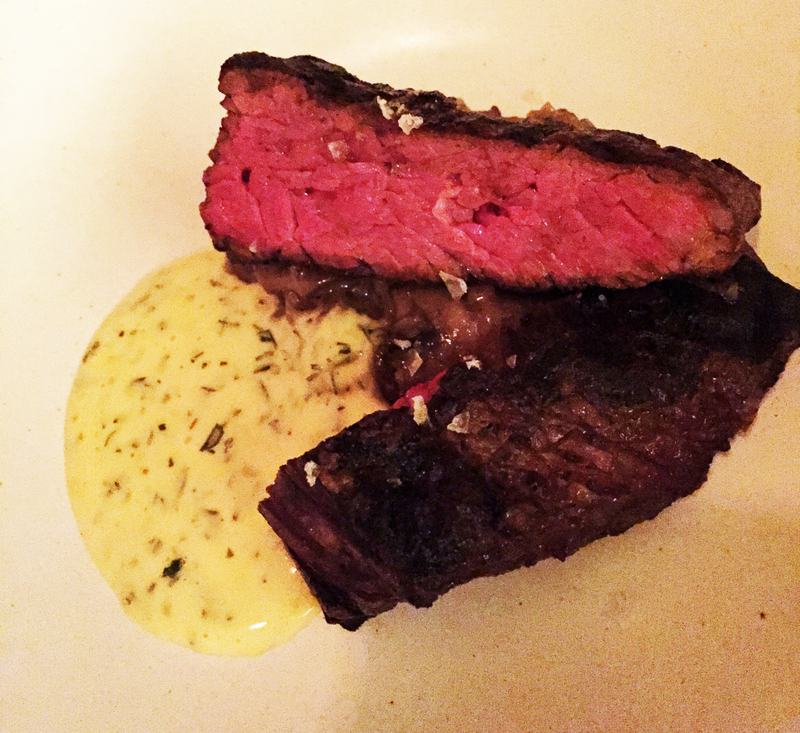 Next came the most expensive dish on the menu – the bavette. The chestnut mushrooms were a delight and so was the béarnaise sauce but what should have been the star was black and bitter from the carbon. My dessert was described as chocolate milk and almonds and turned out to be chocolate ice cream. All was very sweet and not to my taste but the almond and caramel addition was wonderful – slightly salty and the nuts were the star. We had four glasses of alcohol – their signature cocktail (vermouth, bay leaf and soda) and a glass of sparkling Vouvray to start and then a glass of the Cahors and a Cabernet Franc. We liked all of them. The bill came to £87.00 but we did have three courses. This is a potential replacement for a favourite restaurant, Upstairs, which closed recently. We hope this one does stay, although I will complain more loudly when I don’t like my meal next time. Because of the limited space they do need to turn the tables over at least once per night and they were clear when we had to leave and it was plenty of time to go through the menu. The lack of space means you do need to book – try on their website.